Since 2011, every football rookie class (with the exception of 2013) has been strong and demand for football products has seen box prices increase at record pace. Consistently, across the board, your best bet is to buy your chosen product at release date, to avoid price increases (2017 Gold Standard Football is currently $225 per box). 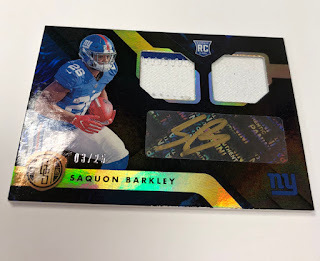 Decades from now, hobby historians may indeed be debating whether or not this is the Golden Age of football collecting. 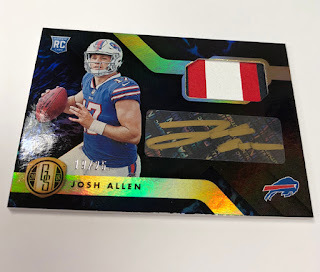 Regardless the verdict, credit Panini America’s Gold Standard Football franchise for doing its part to make it so. From its bold beginning back in 2011, Gold Standard Football has always lived up to its name by delivering an unmistakeable gold theme and, in many cases, real gold. Those driving factors return once again in 2018 Gold Standard Football. 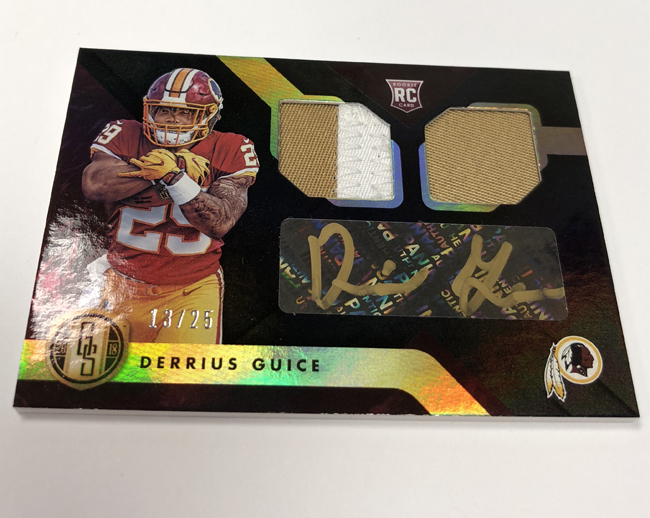 Set to arrive at Sports Cards Plus this Wednesday, July 11th, Gold Standard Football will deliver, on average, five autograph or memorabilia cards in every seven-card hobby box (12 boxes per case), including one Rookie Jersey Autograph numbered to 99 or less. The Rookie Jersey Autographs chase includes rare Prime and Tag parallels signed in gold and white ink. 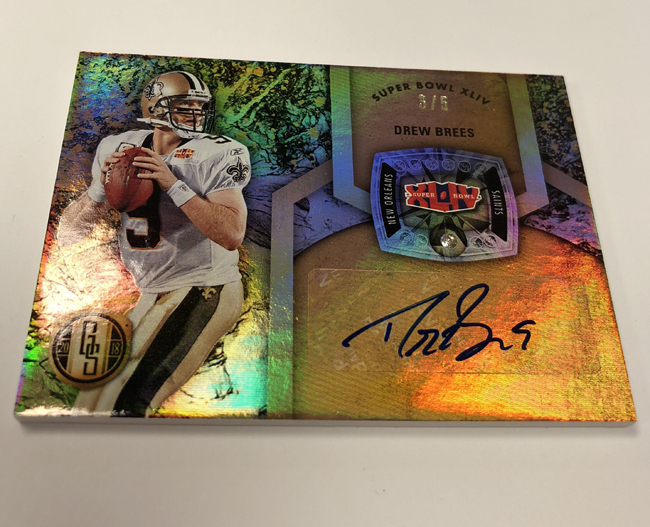 Find rare and stunning Super Bowl Diamond Signatures featuring authentic diamonds; chase 1/1 dual-autograph versions as well. 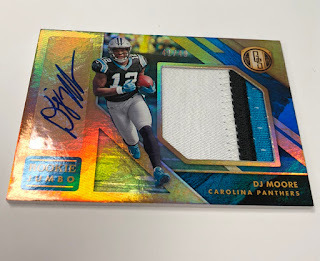 A captivating cast of 1/1 inserts including Bullion Brand Tags, Super Bowl Diamond Signatures Dual and the premiere of Bullion Brand Tags Signatures and Golden Shield Signatures. New for 2018: Gold Scripts featuring gold autographs against a stunning black background. Look for Rookie Jersey Autographs Triple and Double versions numbered to 75 or less (blue ink), 25 or less (gold ink) and 1/1 (white ink). 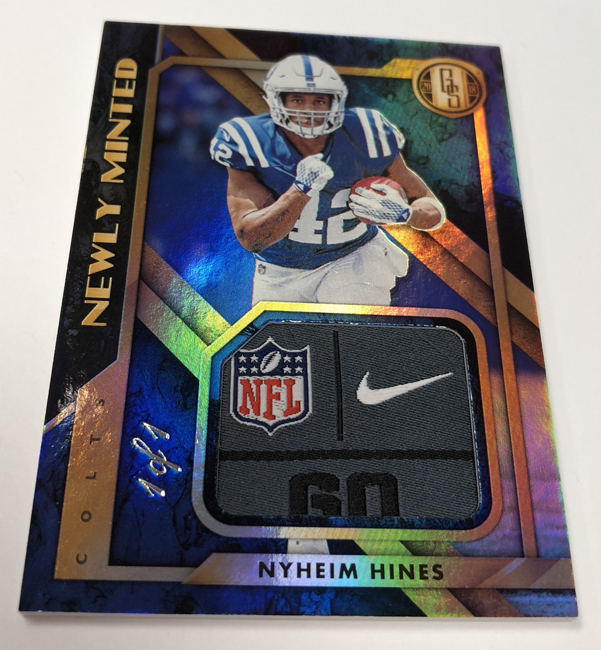 The product’s non-RPS Rookie Card checklist includes 60 players numbered to 99 and featuring Platinum (numbered to 49), Rose Gold (numbered to 25) and Black 1/1 parallels. The Gold Strike autograph insert is numbered to 99 or less and includes Platinum (numbered to 49 or less) and Black 1/1 chases.